Manuel Ribeiro is a Software Development Engineer with 3 years experience in software development, a AUV operator and a RPAS pilot with building, testing, operating and piloting experience. Ribeiro holds a Master’s degree in Informatics Engineering with a specialization in Software Engineering from Faculty of Sciences of the University of Lisbon. His Master’s thesis focused on the development of a language for coordination of multiple autonomous vehicles on a network (NVL: Networked Vehicles Language). 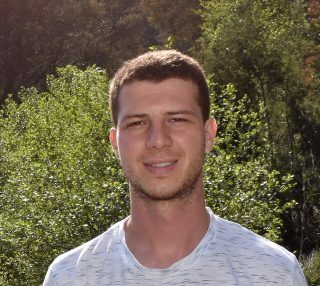 He is a researcher at LSTS in the University of Porto since 2013, where he is working on the development of the command and control unit (Neptus) for the operation of different types of unmanned vehicles and has been working on projects related to network cooperation of autonomous vehicles.